Showers Late. Afternoon Clouds. Warm. Click "Add To Planner" from pages that interest you to see it below. 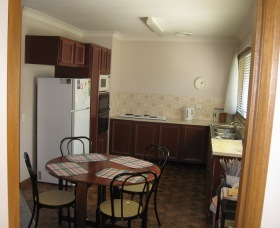 A Beach House Near Manly, on the northern beaches of Sydney, offers one, two, three or five bedroom self-contained beach side family run apartments. 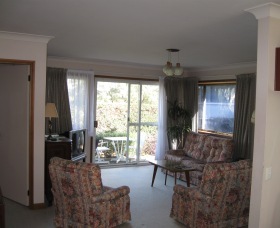 Most apartments have great views and it is just a short walk to North Curl Curl Beach. Calabash Bay Lodge is a boutique luxury retreat for the discerning traveller in a unique and exemplary location. Whatever the occasion, be it a romantic escape or a getaway with friends or family, their absolute waterfront Lodge is a beautiful place to relax, indulge, and celebrate life. 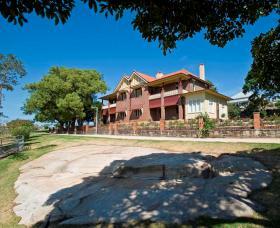 Two charming Federation houses on Cockatoo Island are the perfect location for a Sydney get-away. 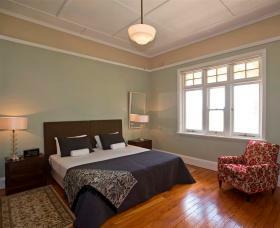 Enjoy harbour views and island living in beautifully restored rooms fitted out with modern conveniences. Stay in one of North Richmond's most beautiful homes and enjoy spectacular country and mountain range views from most rooms. Hidden among the orange groves on the banks of the Hawkesbury River lies Cornwallis House, the ideal luxury retreat for small groups of families and friends looking to escape to the countryside yet stay close to the city. 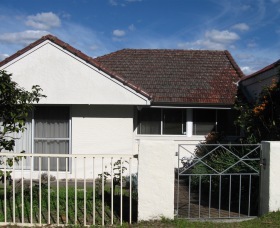 Darling Harbour Cottage is a heritage-listed, executive cottage fronting onto a park just up the road from Darling Harbour. Welcome to the Waratah Suite; this large Art Deco apartment is warm and inviting, it's tastefully furnished and decorated throughout, period features include polished timber floors throughout and high ornate ceilings. This immaculately presented executive loft apartment is situated on the top floor of a renowned landmark building in Camperdown. This fresh and spacious open plan apartment is stylishly decorated and furnished throughout, features include fully equipped modern kitchen with dishwasher, relaxing lounge area and dining which flow out to the balcony for a real al-fresco dining experience. 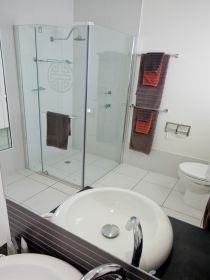 Private loft bedroom, modern bathroom, internal laundry with washer and dryer, air-conditioned, Foxtel (cable television) available. With magnificent views of Sydney Harbour , the Harbour Bridge and city skyline, their cottage is in one of Sydney's nicest locations. Linley Point is part of Lane Cove, a quiet leafy suburb on the Lower North Shore. 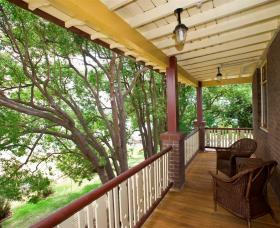 Their cottage is surrounded by beautiful homes with friendly neighbours and well-maintained gardens. 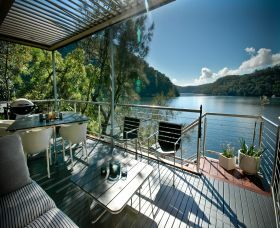 Nestled in the beautiful National Park of Ku-ring- gai Chase; Lot 2 consists of two luxurious fully self-contained suites, each one strikingly furnished with unique pieces collected from throughout Asia, over many years.